In 2009 Derek joined a 3 man team as photographer to document a vertical crossing of Greenland by kite-ski which was awarded a Guinness World Record as the longest kite assisted unsupported expedition in the history of Arctic travel. The sting in the tail. After more than 4000 kilometres of travel on the ice the final few thousand feet of elevation were heinous. 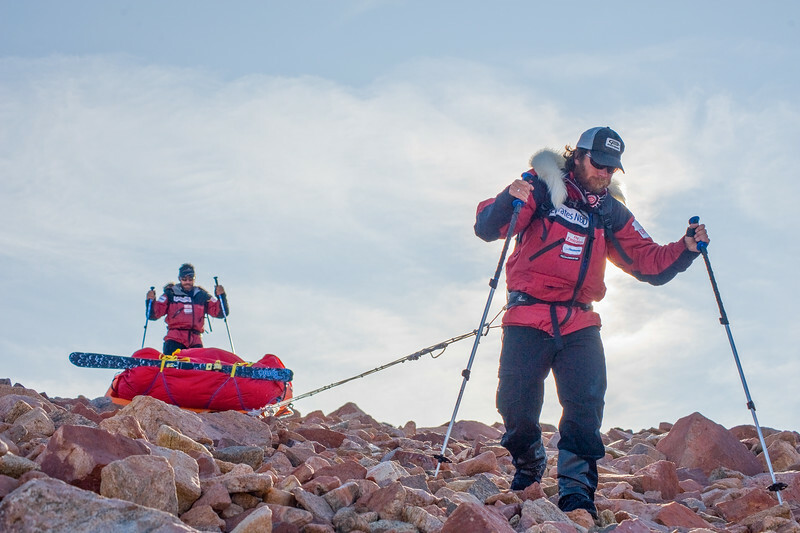 Our sled were in pieces after pulling them down scree and talus slopes for 12 hours.